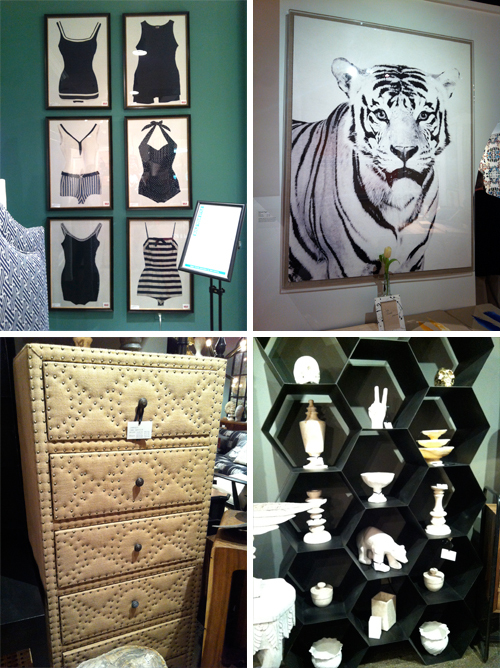 I'm back from High Point Market and boy, do I have tons to share with you! In fact I have so much to share that it'll take me a few days to go through the photos and write up a post. So I thank you in advance for your patience! In the meantime, I didn't want to leave you all empty-handed so here's just a tiny snippet of what I captured at HPM this past weekend. If you want to see a little bit more before the next post, then check out my Instagram feed to see what other goodies I spotted at HPM. That was just for you ;) I knew you'd like those! Can't wait to see the rest of the eye candy you brought home! There's so much to show you guys! It's going to be hard to narrow it down so that I don't blow up my blog!